Kent´s Materia Medica constitutes a worthy contribution to homeopathy. One of the most popular works of homeopathic bibliography, it appears in a very opportune moment. The present edition not only provides essential data for clinical practice but represents the recovery of a historic link. Much has been written concerning the influence of Kentism on American and European Homeopathy. However, analysis has been partial, either condemning or mythologizing the figure of Kent. When Gram first introduced Homeopathy in America, many schools acquired tools to deploy and replicate Hahnemann´s medical rationality. Yet, only a very small number of them developed it to its most minute consequences. A series of approaches developed, whose survival relied more on external factors than in internal coherence and consistence. This led to almost extinction by the 1930s, as Harris L. Coulter showed . All these schools sought to remain in activity through strategies of legitimization against a “common enemy”. It was thought that both obstacles to further expansion and the impossibility to establish Homeopathy as dominant medical approach were the outcome of such “hostile agents”. This motto widely spread to reach our times. 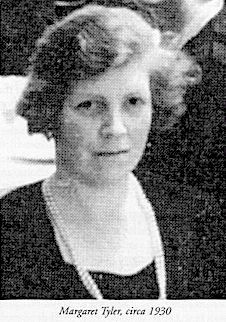 This is the environment that received British homeopaths that sought homeopathic training in America at the beginning of the 20th century, Margaret Tyler and John Weir among them. They returned to Britain as Kent enthusiasts, publicizing his doctrines. Tyler directed an institute that served as a transatlantic Kentist bridge, between 1908 and 1913. This would change forever the face of European Homeopathy. Richard Hughes´ hitherto dominant ideas began to be challenged, and homeopathic teaching became less pathology-oriented. Homeopathic training became more plastic as a new perception was gradually incorporated both in theory and practice. Yet, doubts still hovers over the real significance of Kentism. Did it merely represent some kind of sect? Or did it actually rebuild Homeopathy on revisited methodological foundations? Perhaps the answer lies somewhere between both extremes. Swedenborg´s (1688-1772) influence on Homeopathy will still be the subject of debate. Without pretending to attain a definite position, we will address some features that deserve consideration. 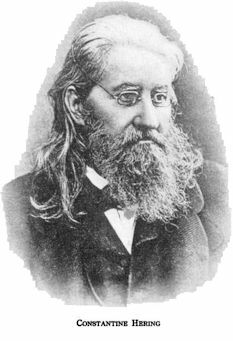 Besides many writers, lawyers and allopathic physicians, a significant number of homeopaths adhered to his ideas  Gram, Hering, Dunham, Hempel and Kent  to mention only the most famous ones. 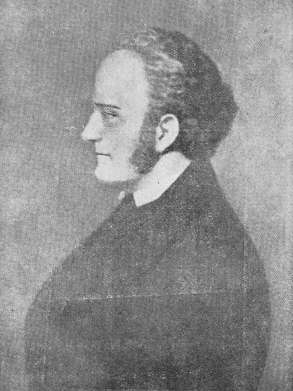 One of the main agents of Swedenborg´s diffusion was John James Garth Wilkinson. 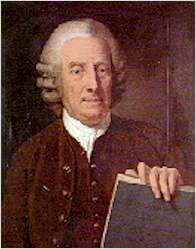 A clinician, he authored the first Swedenborg´s biography and translated, also for the first time in English, some of his foremost writings. Later he converted to Homeopathy. These translations arose the attention of Henry James, who became the key-factor in the transmission of these concepts to influential writers such as William Blake, Lord Tennyson and Ralph W. Emerson.The latter not only upheld this philosophy but disseminated it in America and Britain. Swedenborg is a most enigmatic character. A mixture of a scientist, a politician and a philosopher, his eclectic scholarship encompassed also medicine. He was particularly interested in cerebral anatomy and mental functions. He also approached the correspondences between organs as the basis of symptomatic correlations. As is the case of every transcendentalism, Swedenborg´s also developed a symbolism, based upon analogy. His particular model depicted “spheres of influence”: the soul; reason and will and, finally, imagination, desire and memory. 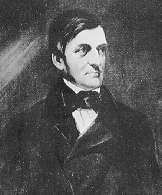 It is evident that this conception directly influenced Kent´s semiology. Swedenborg had attempted to philosophically redefine Paracelsus and Kircher´s theory of signatures, renaming it as “theory of correspondences”  scientia correspondetiarum. This constituted the ground of later parallels with Hahnemann´s similitude. Yet, Swedenborg´s theories had no empirical support. As they derived from deductions, revelations, intuitions and spiritual insights, the Swedish was considered a dreamer, the founder of a religious-philosophic sect rather than of a system of rational thought. Homeopaths were always perplexed by the fact that many of the most original homeopathic minds were attracted by Swedenborg´s ideas. Especially, it was very difficult to explain how they could have confounded a therapeutic system  grounded on experience and elaborated through the strictest rational criteria, a kind of offshoot of 18th century Enlightenment  with such dark hermetic speculations. In fact, some of his theories seemed to correspond to homeopathic notions: besides correspondences theory, the idea of the representation of the maximum through the minimum (consequently, of minimal doses), the refusal of aggressive medical intervention, the stress upon body-mind relationship, the postulate of matter-energy unity, the octaves scale (employed by Kent as a guide to the sequence of dynamizations). However, these affinities do not suffice as an explanation. It would seem that Swedenborg´s ideas provided an “existential solution” that surpassed the frame of homeopathic doctrine. Another factor that might have contributed to the assimilation of the Swedish theories was the Romantic spirit, including elements of Falansterian socialism, that in the turn of century aspired to build an utopic society. Unfortunately, it resulted in a misguided answer to the deterioration of Hahnemann´s doctrine current in American and British Homeopathy. “Classic” homeopaths thought that therapeutic pragmatism was eroding the philosophical axis and many foundations of Homeopathy. That is to say, the hard-core of the technique was being discarded in an amazing speed by voices that claimed to “modernize the method”, even if it would imply in the abandonment of epistemological bases. A proper answer ought not to have attempted to transform Homeopathy into a new religious conception. This was not perceived by hard-liners, who fell prey to ideology, making Homeopathy the hostage of inflexible dogmatism. As a fact, Kent did anchor most of his philosophy in Swedenborg´s system. Expressions such as “the inwardness of man”, his famous “organ correspondences”, the hyposthatization of will and thought to the center of human existence, all against a background of moral exhortations, manifest this influence. Yet, as a final balance, Kent successfully managed to recreate Hahnemann´s doctrine against the reductionist contemporary notion of progress, that demanded that Biomedicine was to be the ultimate judge. It is the reader who ought to establish whether Kent´s approach constitutes an anachronism or a most pertinent framework in our times. SYMPTOMS AND A NEW OPERATIVE LOGIC. Kent´s reaction against current therapeutic pragmatism was undoubtedly overzealous. This attitude may allow us to interpret his resistance as contempt regarding research. However, to suppose that this conclusion equates to the acceptance of unguided empiricism, whereby unqualified practitioners claim the right to prescribe, is equally wild. Kent might, in fact, had focused on the progressive dispersion of homeopathic foundations and the lack of pertinent interlocutors. We cannot say that this problem has been definitely overcame  i.e. how to assimilate innovations without alienating Homeopathy from its epistemologic singularity. Kent would reject “modernization” invoking the principle of authority, the immutability of Homeopathy´s roots and some a priori conceptions. Therefore, it is very easy to conclude that he expressed nothing but mere dogmatic reveries. Yet, theory manifested itself in practice, and in this field Kent affirmed the priority of clinical experience. A common criticism accuses Kent of having supported a biased practice grounded on the emphasis of mental symptoms. Based on a partial reading of Hahnemann´s writings, Kent would have overrated psychical symptoms, misunderstanding Hahnemann´s conception that stated that mental symptoms would be relevant inasmuch they reflected clear-cut changes of the temperament occurring in the course of any malady. However, the reader acquainted with Hahnemann´s work will immediately realize that this position is merely one interpretation among many others, as both the Organon and The Chronic Diseases deal with this subject in a more thorough way than the implicit by the above argument. Notwithstanding, there is another element that must be taken into consideration: emphasis on mental symptoms constituted for Kent more a guideline to the study of Materia Medica than a prioriinstructions concerning actual prescription. On the other side, it must be admitted that Kent´s new method of learning remedies led to the establishment of stereotypes. And this outcome deserves further discussion as such “medicinal personalities” threatens to substitute the plastic flow of the prover sensitiveness. No alleged typology may represent an improvement when compared to isolate symptoms, as they appear in the Pure Materia Medica. Provings do not depict complete images that are to be overlapped to the personality of the patients in order to find the suitable remedy. There are no Lycopodium-patients, no Sepia-personalities, no Sulphur exists. What me may find are persons, human beings, whose specific susceptibilities may partially or completely react to the energy of each one of these remedies. What emerged as a didactic tool became a distortion. Mental symptoms were exalted, under an archaic light. And it stimulated Homeopathy to construe static pictures. If we understand the notion concerning constitution, as expressed in the Organon, chapter 117th, not as a morphologic disposition but as nonspecific susceptibility  i.e. the most individualizing aspects of the patient -, later valorization of general and well particularized local symptoms clearly represents a considerable advancement when compared to prescriptions based on key-notes symptoms  named by Kent as “mongrelism”. He also supported a pattern of Unicism that rectified an omnipresent mistake in prescriptions: continual, sudden changes of remedies, especially during acute crises irrupting in the course of chronic diseases. Kent suggested that the remedy, once identified, would help the patient in the most different clinical conditions. It is said that Homeopathy is “easy”. Indeed, it is endowed by a most desirable trait in this, our modern world that cherishes economic efficacy. Homeopathy can do without expensive sophisticate technology. But the secret of its success depends on the careful determination of individual singularities. And this is a most delicate operation, which demands the integration of art and technique, judgment and deliberation, ethics and moral boundaries. All the cognitive faculties of the practitioner are needed in order to arrive to a suitable prescription. And when this is done, it still remains the harder and most essential task: follow-up. In a framework that requires singularity, it is highly probable that mental symptoms may more easily convey particular traits. Human verbal process is more attuned to psychical features than physical ones. Sadly, this fact was misunderstood and many homeopathic schools neglected “organic” manifestations as they posited mental symptoms as the only guides of prescription. We can only appraise this development as a distortion of true Kentism. The present work is the compilation of lectures offered by Kent over a period of 4 years. Based on Hering´s Guiding Symptoms, it comprises 200 remedies  not including those included in his Lesser Writings. It represents a tribute to homeopathic medical teaching. It shows that repetition helps the beginner to learn the striking traits of each substance. Kent does not only reproduce the foremost characteristics of the medicinal means but introduces knowledge acquired through personal practice. Each of the remedial images is endowed as if with a life of itself: the author did not merely distinguished the most particular features of each medicine but presents dynamics. Kent refused to admit that explicative or descriptive Materia Medica could be suitable substitutes for Pure Materia Medica. However, remedies were to be understood rather than memorized. Thus, in order to optimize efforts, nothing better than introduce it “almost clinically, in a dialogue-like manner”. Who can forget those dialogue-like comparisons, as the description of one of Kali carbonicum features, “Argues with his family as well with his bread-and-butter”? It is here that lies the strength of his text. This approach actualizes the fusion of experience and the particular manner how each prover/patient related  or may relate – his symptoms. Kent made use of the opposition-technique, as he explained in his study of Sabadilla. This allows not only for the comprehension of the particular remedy but of many others. Aloe might resemble Lycopodium in some aspects, Cyclamen might resemble China but Drosera surpasses the alleged specifics of whopping cough  as its numerous mental symptoms attest. The author also deals with features that Pure Materia Medica cannot: symptoms seemingly lost within the framework of pure records, such as time-modalities, sensations “as if”. He might merely refer to them, more commonly he “pastes” them to the other symptoms, making the symptomatic complexes less incongruent than they actually are. In short, he transforms medicinal data into efficient synthetic tools. As an example, his treatment of the mental symptoms of Glonoium and Staphisagria masterly condenses the symptoms found in the Pure Materia Medica as to facilitate future identification. On the other side, he was aware that remedial images are not complete: they can and must be extensively developed. In the case of miasmatic variations, for instance, sweet, gentle and fearfulPulsatilla might also be extremely irritated. Insufficiently known remedies might acquire deeper meanings, such as Podophyllum´s pesimism through a sensation that “everything goes wrong, clouds are too dark”. Aurum´s impulsive, guilty melancholy is better understood, as are Calcarea´s boring and tedious weakness, Ignatia´s amazing unpredictableness, Coffea´s industrious sensitiveness,Hepar sulphur´s craving for fire, Helleborus niger´s incommunicable apathy, Barita carbonica´s inhibiting timidity. In-depth images that condense the characteristics of each remedy, emphasizing their connections and elucidating their differences. In short, Kent evokes images, but does not attribute to them any definitive power as he is aware that the search of the particular traits of each subject is an ever-growing task., without precise boundaries. If his use of literary freedom compels him to construe almost prejudiced pictures, he redeems himself through his capacity of recreating themes, by associating physical symptoms and psychical trends, insightful analogies that help the reader to a better understanding. Understanding that will always be faulty, it must be admitted, without the conjugate consideration of the culture, intuition and skills to apply technical knowledge of each particular practitioner. Kent´s Materia Medica is the only work of its genre to bring theoretical considerations, technical recapitulations and semiologic remarks. This allows for a broader, more creative approach to the learning of remedies. As Kent appraises interactions as complexes – mind-body-remedy-environment  he designs a wider panorama of the clinical setting, including literary analogies, shaping vital stories, only to finally behave as a strict clinician. A lovely yet untruthful literary recourse, as in fact, nothing is stated concerning the substance itself. But style does not involve invention nor fantasies, it merely constitutes an original manner of articulating remedial data to personal clinical experience. Kent introduced new teaching techniques, showing that we never stop learning provided vital force is added to medicinal stimuli. Eventual extrapolations might only be assessed as the prejudices of any author that deals with raw materials. Concerning the famous “remedy-picture”, perhaps… it does not even exist! At least, in the idealized form of myths. Nevertheless, it represents a fruitful pedagogic recourse which was originally deployed by Kentian philosophy as a guide through the labyrinths of texts. Homeopaths deal with fragments that do not make sense as wholes, provings are compilations of many different individuals experiences. Most of these fragments are mere links of some lost unity, therefore we must construct qualitative syntheses in order to make technique operative. The verbal manifestation elicited in the provers supply all that is needed to make use of the discourse of the patient. In his Materia Medica Kent induces us to build medicinal images that mirror the living evidence attested by our witnesses, patients and provers. Once again, extrapolations, although not originally in provings, are no less real. Indeed, they originated the so-called clinical provings  that, as Hering and Dudgeon remarked, are to be left exclusively to the masters of observation and skillful clinicians. There can be no doubt that Kent belonged to this class. Images are still needed, at least as a transitional stage, to help us perceive the many levels of application of provings. Concerning words, human speech will always remain the foremost tool of the whole of homeopathic clinical practice. COULTER, H. L. Divided legacy. 2.ed. Richmond, North Atlantic Books, 1982. 4vols. KENT, J. T. Lectures on homeopathic philosophy. Memorial Edition. Chicago, Ehrhart & Karl, 1929. KING, W.H. History of homeopathy and its institutions in America. New York, The Lewis Publishing Company, 1905. 4v. MURE, B. Lhomeopathie pure. Revu, Augmenté et Mis en Ordre par Sophie Liet. Paris, J.-B. 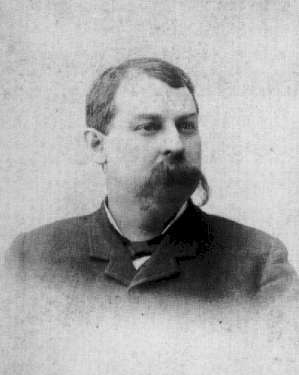 Bailliére, 1882. 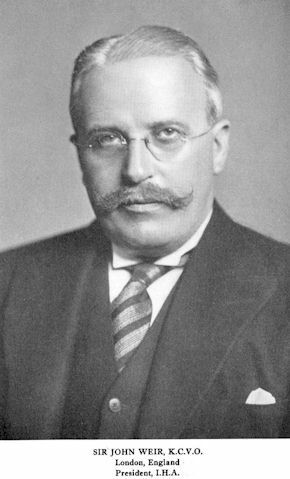 ROSENBAUM, P. Miasms. Roca, São Paulo, 1998. TREUHERZ, F. The Origins of Kents Philosophy. Journal of the American Institute of Homoeopathy vol 77. No 4, 1983.